We are offering a comprehensive range of Bend that is known for its high quality, zero-defects and superior performance. These are stringently tested on various quality parameters that have enabled us to get quality certifications like mill test certificate as per 3.1B, IBR (form III C). 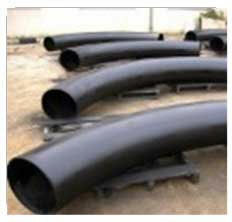 Moreover, these are provides in various designs and specifications.